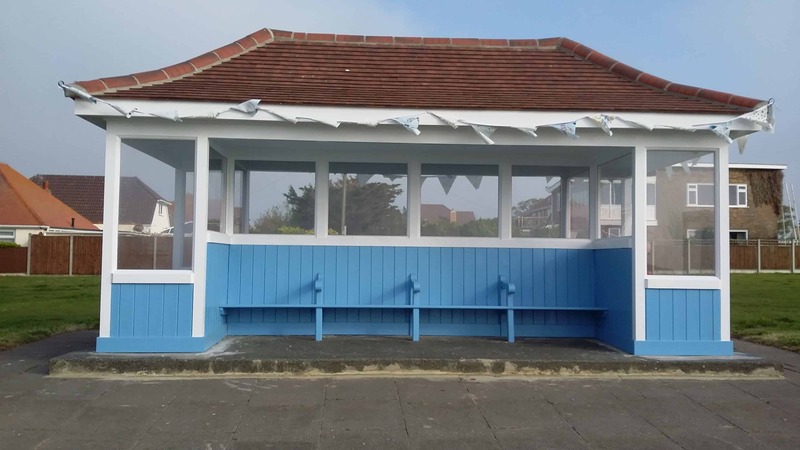 Volunteers who took on the mission of renovating nine seafront shelters in Birchington have scooped a £50,000 grant. 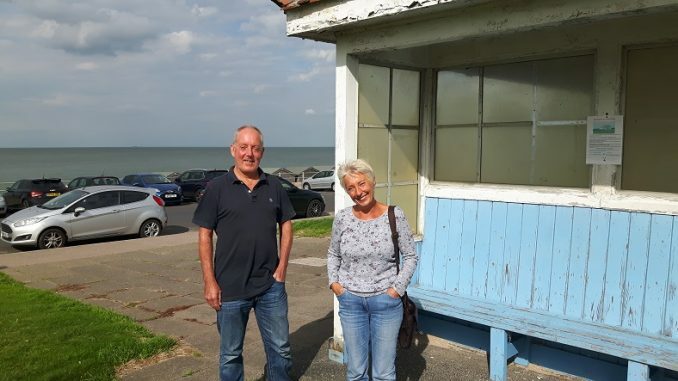 Birchington Shelters and Amenities Group (BSAG) first launched a campaign, led by residents Karen Everest and Dave Adams, in 2016 with the aim of raising funds to carry out the work. Today (March 23) it was confirmed BSAG was one of 44 projects, including Cliftonville Lido and Baths, successfully allocated cash from a £36million government pot. Birchington shelters were put in place between the end of the 19th century and the 1930s but all had become weathered and neglected. The fundraising and work scheme from BSAG resulted in the shelter nearest Hengist Road becoming the first to be completed in May last year. Since then renovation work has been carried out on a second structure. 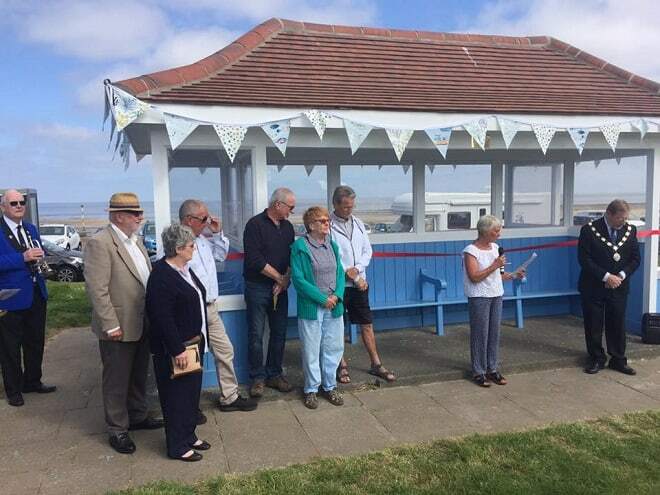 BSAG chairman Karen Everest said: “We are delighted to confirm that BSAG (Birchington Shelters and Amenities Group ) a community group formed to rebuild/refurbish our 9 sea shelters along our coastline have today received a very generous grant of £50,000 from the Coastal Revival Fund. “We have had shelters along our coastline since 1905 and the current shelters were in place since the early 1930s. Unfortunately, due to lack of maintenance they have fallen into disrepair. They are a well loved part of Birchington on Sea used by residents, day trippers, dog walkers, bird watchers and families enjoying a day at the seaside with picnics and they are on the Viking Coastal path. “Since 2016 we have been raising funds by way of donation, grants from KCC Councillors Combined Member Grants Scheme and the Aviva Community Fund. Local businesses have hosted fundraising events for instance, The Waves hosts a fortnightly quiz throughout the winter months and donates a share of the proceeds to our project, and The Grenham Bay Court Residential Care Home organises a 5 a side football tournament. The Old Bay Alehouse also hosts events and our own quizzes are always sold out. With our community backing, we have raised over £31,000. “In 2018 we rebuilt our first shelter and this was reopened in May and we had enough to tackle our next shelter in April 2019. Other donations include an annual membership scheme, a £1,000 donation from Shepherd Neame and just under £2,000 from Thanet council via ward councillor Suzanne Brimm.